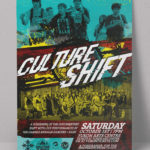 Shot in the Dark Productions approached me to help them with the marketing of their award winning documentary “Shift”. 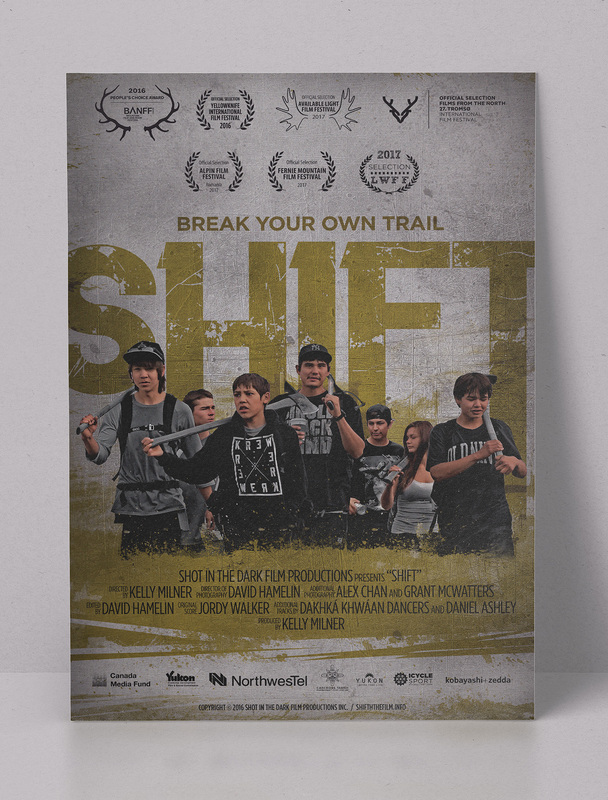 Shift is a half-hour documentary about a group of indigenous youth from Carcross, Yukon who have spent the past 10 years converting historical trails in the mountains around their community into a world-class mountain biking destination – and transforming themselves along the way. 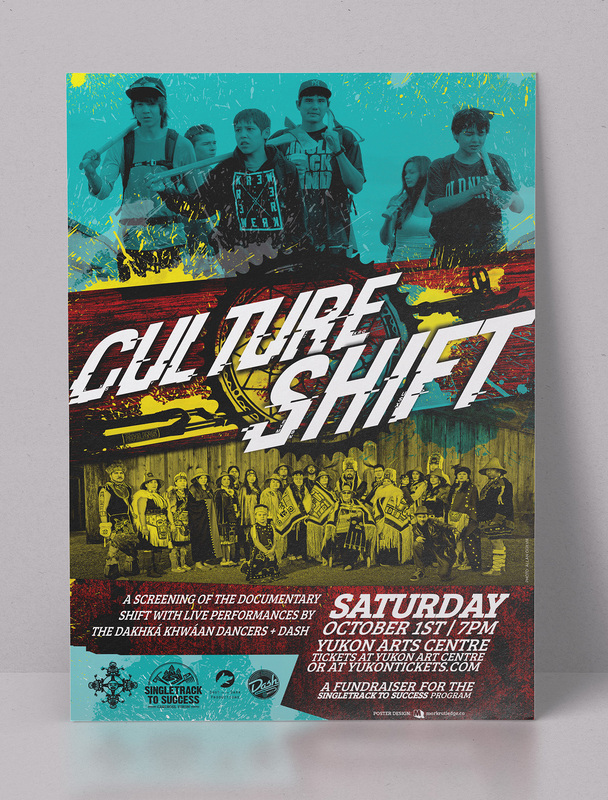 Working with Shot in the Dark Productions, I helped create large format posters for both the documentary itself, but also for a featured screening of the film which included live performances by the Dakhká Khwáan Dancers and DJ Dash.